2 Tablespoons organic, good quality extra virgin olive oil. Pinch of nutritional yeast flakes (I don’t use this as I am pretty sure most have palm oil in so you could use any sort of Vegan POF POWDERED flavouring. These ingredients mixed together all harden and form a vegan butter spread to fool any butter eater. Put 1 Cup coconut oil in a sauce pan on low heat. Stir for about a minute, wait till you notice about 1/2 of coconut oil heats up to liquid, and take off burner, put on trivet on counter. Do NOT heat on burner for very long, and don’t allow liquid get HOT. This will prevent the salt, yeast flakes etc. to melt. They ONLY blend together when cooled (congealed) QUICKLY. Add to the coconut oil in the saucepan the following: tiny pinch turmeric, a bit larger pinch of flavouring powder, and 2 Tbsp of UNREFINED, organic extra virgin olive oil. Mix all together. Fill a saucepan with water and some ice cubes. Pour contents of saucepan into a 2 C glass pyrex/glass container. Put your glass container with the FUTTER/vegan butter mixture in the ice water, making SURE the water doesn’t get into your glass container. WHY do you do this?? The FUTTER must congeal quickly. If you don’t cool the FUTTER quickly, it will take hours to solidify, leaving salt to sit at the bottom. When glass container is in the ice water, stir until congeals. This will take about 5 minutes AT MOST. 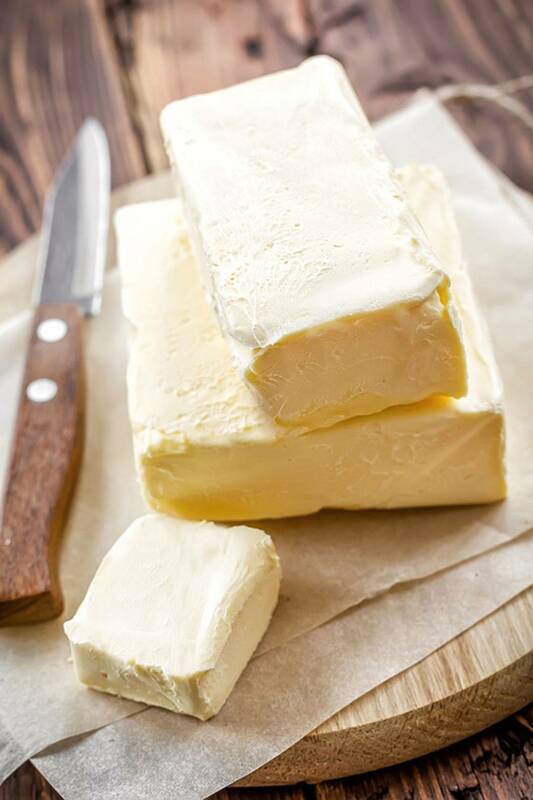 You will notice the color of your vegan butter suddenly becoming more opaque with the seconds… Eventually it will look like butter. After it cools, it has a consistency of butter.